Several years ago I heard this quote and it spoke to me. Like everyone else, I was guilty of sometimes always comparing my life to the lives of other people. I constantly compared whether my clothes were as nice, my car as new, my house as big, my friends as fun, etc. At the time, I was deeply unhappy and so I decided to quit the "comparing" habit cold turkey. It was liberating. Suddenly, it didn't matter if I lived in a small downtown apartment, because I loved the way the light came through the big windows on Saturday mornings and that was enough for me. I didn't care if so-and-so had found their soul mate, because I was content being single and watching SATC on Friday nights. As I said, it was liberating. Recently however, this quote has taken on an entirely different meaning for me and once again, it is time for me to liberate myself. You see, I no longer compare my life to those of others (well, most of the time at least) but I do constantly compare my reactions. I may sound a little "braggy" here, but I am a good friend. I am a good daughter. I am a good sibling. I'm not the most amazing person in the universe and I have my flaws without a doubt, but feeling joy and excitement for the people that I love just isn't one of them. I am the first person to be completely over the moon when a friend tells me about a new guy they are dating. Or when someone moves into their first home. Or when a baby announcement is made. Or when some lucky guy pops the question. I really am. If I genuinely love you, then all of these events are significant to me because they are significant to you. I'm the friend who buys custom gifts for your house warming. I'm the person who takes time away from studying for finals to help you move. I am the girl that spends entirely too much money on a baby shower gift at Target. I am the friend that quite literally will sit and listen to you gab about your new job, new house, new sofa, new baby, new hobby, new car for hours! But I compare. You see, when something BIG happens in my life, I look around me and try to gauge everyone's reactions. Not only do I expect for them to be happy for me but I unfairly expect them to be as excited as I would be if the shoe were on the opposite foot. That's unfair of me. Yet, when they inevitably go about their lives and don't offer to buy a bottle of wine and let me talk about my excitement to my heart's content, I get upset at them. That's unfair of me. So this quote still has a lot of teaching left to do. I do not need to compare my reactions to those of anyone else. Instead, I need to realize that each of us handle life differently and react to our friends and family differently. In this moment, I want my joy. I will no longer throw it away with comparison to how other people react to my joy. It is mine. I'm claiming it. i am the same way- but I need to remember that not everyone processes things the way I do. it's tough but it's true. This quote is so true, I will need to remember this. I find myself comparing my life way to often and it gets me no where. Especially lately with my Icelandic classes and comparing my learning to others, that does nothing positive for me. I find this true of myself too but you just have to remember that everyone has a different love language. It sounds like yours has a lot to do with gift giving and words of affirmation, but your friends/family may have a completely different language. I had a hard time adjusting to this when I first started dating Derek because our love languages are completely opposite. After I realized it though, we were able to communicate a lot better! Sorry for the ramble but I hope that helps. And if it's any consolation, I think you're a great person! It's so easy to get lost in keeping up with everyone else. Personally I have issues with "does so and so like me" - I don't want to battle with people, I just want friends and peace. Then like you - when the other person doesn't return the favor of whatever, I get upset. I think that is part of learning to lower expectations of others. It's fair to have high expectations on yourself, but not to place that burden on others. Know what I mean? It's a major daily struggle for me. Basically, what I am trying to say is that I am working on stealing my joy back. Yes!! And the reaction thing is something I've really learned in the last couple of years. I am the excessively excited type of person...my husband....is....not. To all appearances, he doesn't get excited about anything. And sometimes that can feel disappointing if I interpret it that way...but I just have to realize, he's not me, it's not right to judge him by my own natural reactions! I have to agree with you. WADDLE WADDLE, as Christopher would say. Let the negative and bad news roll off your back and just find the joy in the small things! 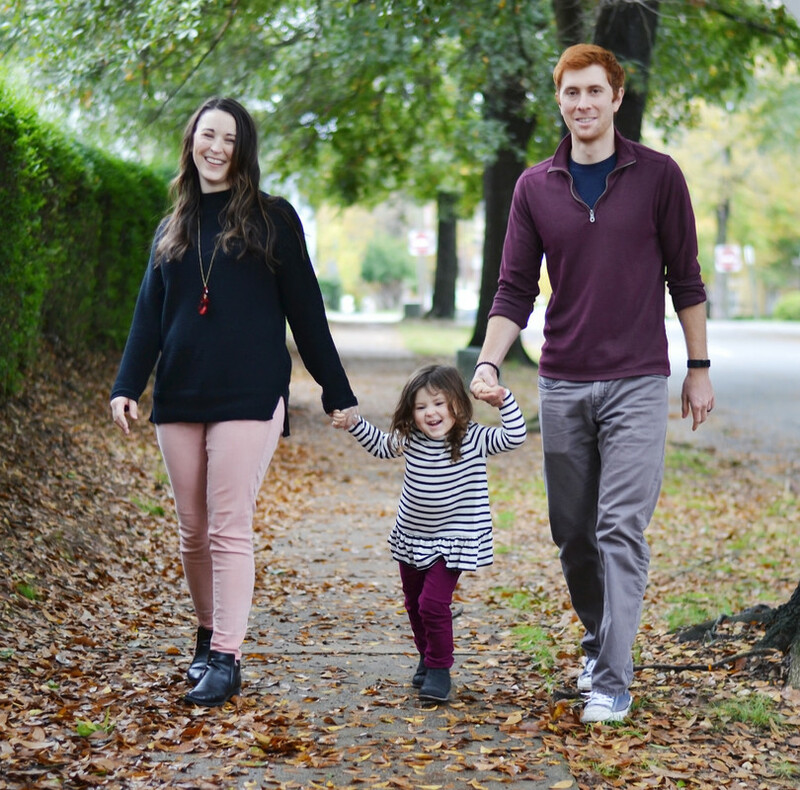 Life is really tough right now for us, but finding the joy is helping us get back on the right path. Keep your head up! Looking forward to your great possible news!!! I sometimes feel the same way which can make me end up feeling bitter so then I try not to feel that way. but I sometimes feel like I go out of my way and then I get screwed over when I expect some sympathy or encouragement or whatever. but all we can do is try to be the best for ourselves! I get how you feel about wanting someone to be as excited for you as you were for them...reacting the same way you did in whatever situation. I am constantly disappointed in the actions and reactions of others, as I feel most people don't care near as much about someone else as they do themselves. It reminds me that more often than not, everyone is out for #1 and not anyone else. It hurts. You are right though, it is our fault to hold everyone to a higher standard. What an amazing quote with so many lessons! I can totally relate to these feelings. I have to remind myself that my friends and loved ones all have different love languages, and it's common that we act or react out of our own love language. So if yours or my love language is someone going out of their way to give us a gift or encouragement, we are prone to be very good at doing those things ourselves. But the people we expect that back from, might be thinking they are loving us because they are giving us out of their own love language. Then again, there are people that are too wrapped up in their own mishappenings that it's just too hard to be happy for others, and sometimes those people need us more than we need them, while other times we just need to end those friendships. You really sound like an amazing friend!! I totally agree, up until recently I was sooo guilty of comparing my life to everyone else around me, or at least what I thought their lives were. I've always felt that I can't change anyone else's actions, all I can do is change my reaction to it, so I think that quote is perfect! ugh. i'm totally the same way with reactions and absolutely understand. 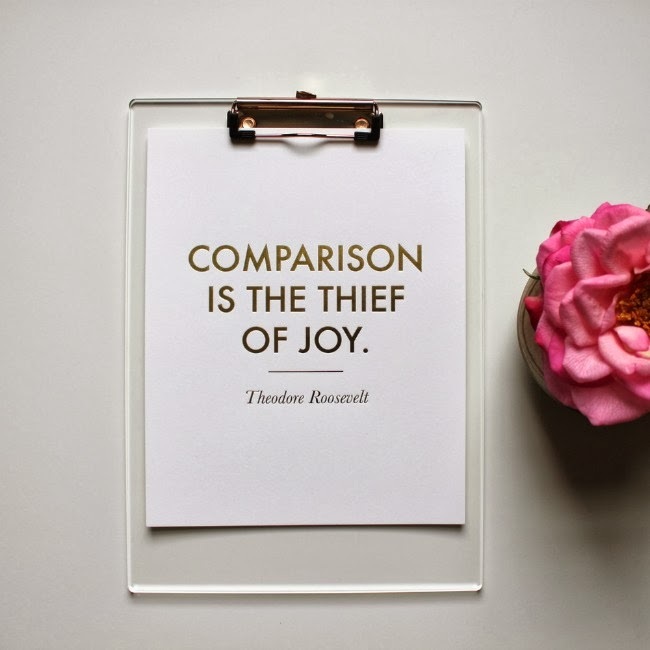 I am so guilty of playing the comparison game. I just need to remember what is important and follow that instead of material things. Gosh, this post really spoke to my heart! I can definitely allow my joy to be swept away when I spend too much time comparing my friends' reactions to what my own responses would be in a similar situation - and sometimes that can make me feel unloved or unappreciated or all sorts of negative (and totally unnecessary) things! Thanks so much for writing this. crap … I do this too and just now realized it. Never thought of this quote that way. Thanks for the eye opener friend!! Wow, I really needed to read this. I've spent the last week feeling like people that I put so much energy into just don't return the same energy to me. It makes me truly upset. It's hard on me. Reading this makes me feel like maybe I'm having the wrong approach on things. You attitude is so positive, I hope I can work towards getting to that positive mind space.